Gynecologists cannot fulfill the commitments of their profession without being psychosomatically oriented. Nevertheless, this field needs methodology and scientific thinking just as does any other subspeciality in clinical medicine. 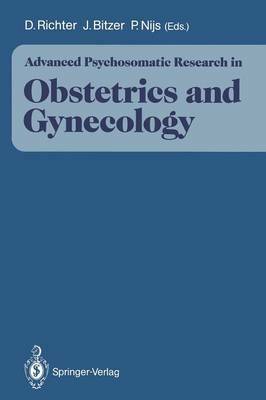 Although practiced by all gyne- cologists, creative work is needed in order to develop the various aspects properly and to establish postgraduate training on a firm and sound basis. For this purpuse the European Symposia have been planned by several European Researchers on Psychosomatic Obstetrics and Gynecology in order to stimulate and integrate clinical scientific data and therapeutic skills in the bio-psycho-social field of obstetrics and gynecology. The first European Symposium in Leuven 1985 concentrated on the psychosomatic aspects of infertility and high risk pregnancies. This second European Symposium in Bad Sackingen centered around disturbed body perception, disturbances of the menstrual cycle, climacteric syndrome, and senium. These topics were elaborated in main lectures and workshops held by outstanding researchers in this rapidly expanding field. The second European Symposium on Psychosomatic Obstetrics and Gynecology was organized by the German Society of Psycho- somatic Obstetrics and Gynecology, supported by the University Hospital Freiburg/Br., the University Hospital Basel, and the Women's District Hospital in Bad Sackingen.